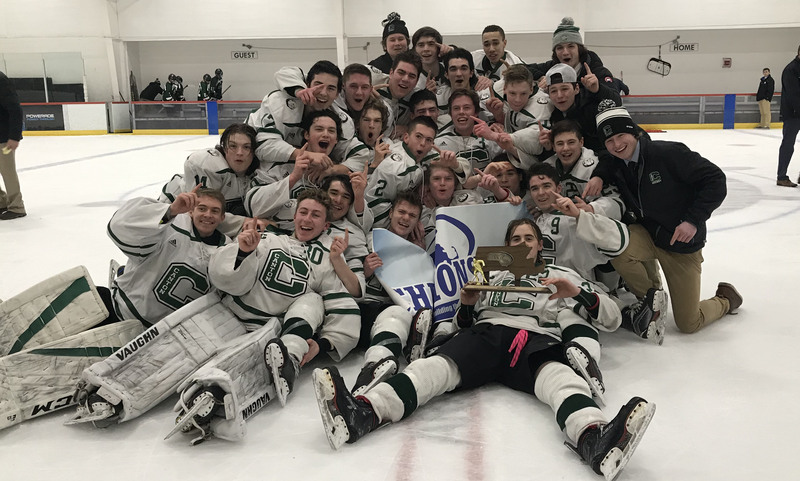 HockomockSports.com’s Josh Perry hosts a special state championship podcast focusing on the Boys Hockey D2 State Final between Canton and Tewksbury. Perry is joined by Canton head coach Brian Shuman, Canton senior goalie Mike Staffiere, Oliver Ames coach Sean Bertoni, and 2010 Canton state champion and current New Jersey Devil Kevin Rooney. Josh Perry is the Managing Editor of HockomockSports.com. He can be contacted at JoshPerry@hockomocksports.com and followed on Twitter at @Josh_Perry10.